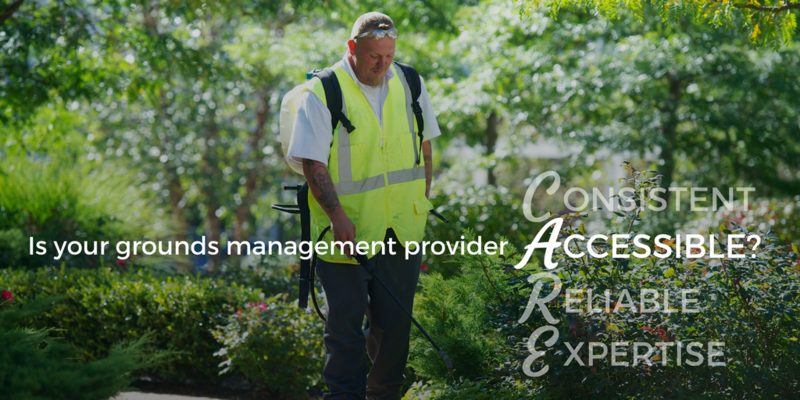 Is Your Grounds Maintenance Provider Accessible? Have you ever needed to get in touch with a business and it takes 30 minutes of phone time to speak to an actual human? Have you ever contacted a vendor about an urgent request only to receive a response days or weeks later—or worse, they don’t respond at all? Frustrations like this are fairly common. According to a study by Super Office, 41% of companies don’t respond to customer service emails at all, and the average response time for those that do is over 15 hours. We find those numbers upsetting because here at Schill, we believe that what our clients have to say is important. Accessibility, which we define as the ability to be reached by clients, is so essential to us that we made it part of C.A.R.E. (an acronym for Consistency, Accessibility, Reliability, and Expertise), our official philosophy for creating an exceptional customer experience. This article covers how to tell if a grounds management provider is inaccessible, as well as how we strive to be accessible here at Schill Grounds Management. Whether you’re getting in touch about seasonal color or dangerous winter conditions on your property, you deserve to know that your commercial landscaping or snow removal company takes your concerns seriously and will act on them in a timely manner. Unresponsiveness is not acceptable, and you will regret not being able to get in touch with your grounds maintenance provider in the case of an emergency. Every company is structured differently, and not every one has a person who can always answer the phone during office hours. You should have a way of contacting your grounds maintenance provider that you know will put you in touch with a real human being (not an answering machine), whether it’s a phone number for a main office or access to someone’s personal cell phone. This not only saves you time, but also provides assurance that you matter to the organization. A company can have a world of good intentions to respond to your requests or complaints, but if they don’t have a formal system to ensure that they do, it might not matter. This not only means replying to your email or calling you back quickly, but also that someone is accountable for acting on your feedback. How is that person held accountable? Is a record of your feedback properly stored so that it can be reviewed later? These are important questions that you should ask a grounds management provider before you sign a contract with them. Some people prefer to call our office with service requests or issues, while some would rather send us an email, and others would prefer to fill out a form online. For us, accessibility means being reachable on whatever device our customers prefer to use. Being accessible has always been important to us: we were using cell phones before they were mainstream, and pagers before that. Now, we use software designed for the landscaping industry that allows us to track and send messages to our crews in real time whenever there are any issues or concerns. Last year, we launched our new Customer Experience Form on our website, where clients can leave feedback or request services at any time. Within the form, it’s also possible for customers to upload images of their property, making it even easier to explain their concerns. 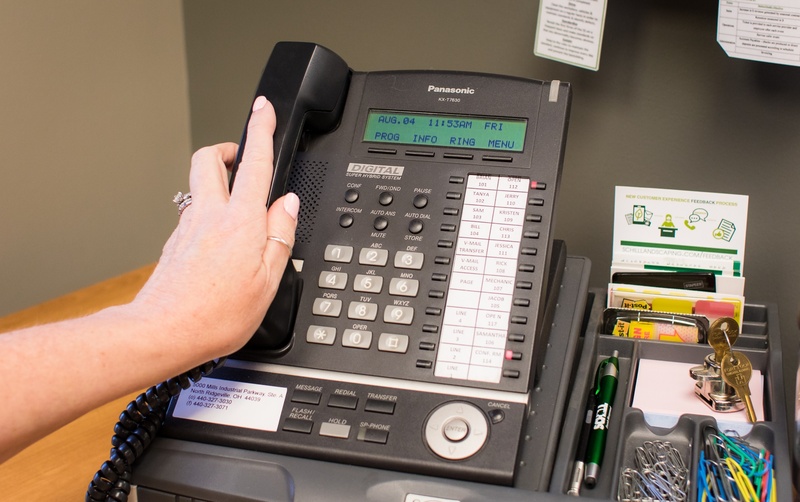 Talk to a real person, even at 3 A.M.
For those who like to speak to someone on the phone, we have a full time customer experience expert who’s responsible for making sure that all issues and service requests reach their Client Care Specialist. This, combined with our on-call manager in the winter, ensures that our clients can speak to someone about their property 24 hours per day. Our goal is always to resolve an issue the day it happens. And if that isn’t possible, we seek to have a solution in place that our clients agree to. We call this the sundown rule; it guarantees that our clients never go home wondering about the status of a problem on their property. 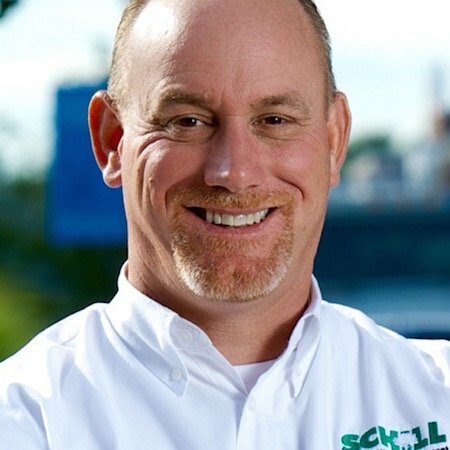 When you partner with Schill, you’re also assigned a Client Care Specialist who is reachable via mobile phone to answer questions or handle service requests. We’re currently developing an online portal where our customers can login, view, and pay for invoices. This will make it easier than ever for our clients to review the details of their contract, billing information, on-line payment options or request additional services. We plan for our customers to also be able to submit service requests and report issues directly within this software, which means they’ll only have to call the office if they want to. Ready to take the next step with an accessible landscaping and snow removal company? Extraordinary customer service isn’t just what you want, it’s what you deserve. That’s why being accessible to our clients has always been one of our highest priorities. 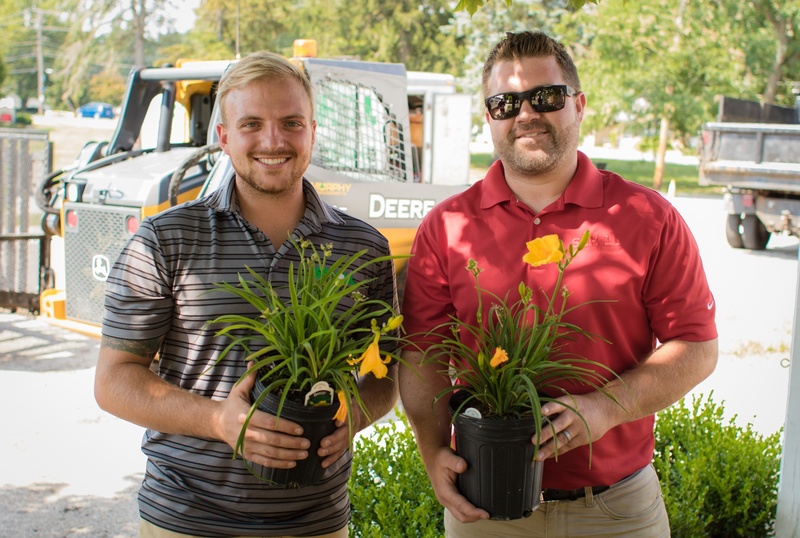 If you want to learn more about the characteristics of a great grounds management company, check out our Landscaping Hiring Guide. Or, if you manage or own a commercial property or are a member of an HOA in Northeast Ohio and would like to chat about sustainable grounds management, feel free to contact us. And, of course, if you’re one of our existing clients and you’d like to learn more about how to take better advantage of the tools we’ve designed to make our team as accessible as possible, please don’t hesitate to get in touch.